On May 18, 2018, 17-year-old Dimitrios Pagourtzis opened fire inside of Santa Fe High School in Texas, killing eight students and two teachers. For Fred Guttenberg, the news is devastating. His daughter was killed in the Parkland school shooting that happened earlier this year. His fear was that if lawmakers didn’t do something soon, tragedy would strike again. He was right. 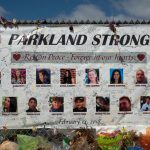 The Parkland school shooting happened on February 14, 2018 at Marjory Stoneman Douglas High School in Parkland, Broward County, Florida. The perpetrator, 19-year-old Nikolas Cruz, killed 17 people (14 students and three staff members) and wounded 17 others. It is one of the deadliest mass school shootings in U.S. history. But despite Guttenberg’s plea, the response from conservative lawmakers has been more or less the same. 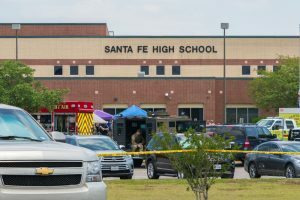 “Heidi and I are keeping all the students and faculty at Santa Fe High School in our prayers this morning, along with all first responders on the scene,” Senator Ted Cruz (R-TX) tweeted shortly after news of the shooting broke. CNN reports that there have been 22 school shootings in 2018 so far, which averages out to a little more than one per week. For conservative politicians, thoughts and prayers are a cop-out, as it allows them to acknowledge the tragedy while maintaining their loyalty to the NRA. Are Rocket Launchers Protected by the Second Amendment?